Reducing the risk of heart attack: One study found that playing five times a week of nut reduces the risk of 50 percent heart attack. This study is conducted by the Lima Linda School of Public Health. Reduces harmful cholesterol: Almond nut plays an effective role in controlling blood cholesterol levels. 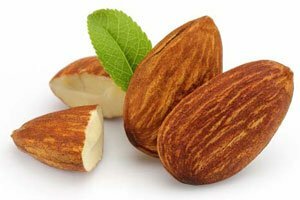 Almond removes harmful cholesterol or LDL lipoprotein This particular cholesterol is responsible for cardiovascular disease. Every day you can keep almonds in the diet. 3.Spiritually, Almond nut nutrients contain elements that help to increase intelligence. To avoid this diseases, much almond should be eaten. How can I found it?